This might sound strange to you, but perfume isn’t something that I wear every day. For me, it’s more like a special occasion thing, so that’s why my favorite fragrances (like Harvey Prince Yogini) last me ages. However, exploring new natural perfume brands and searching for new favorites is also very exciting. Sweet Anthem* is the one who found me, and, boy, I can’t tell you how happy I am about that. 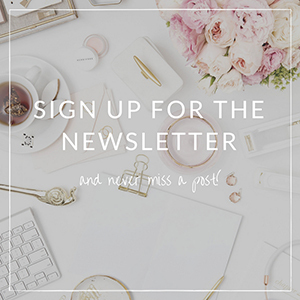 If you’re a fan of indie, small-batch, natural, cruelty-free, vegan, AND handmade brands, you’ll love this one, too, because Sweet Anthem fits these descriptions like a glove. 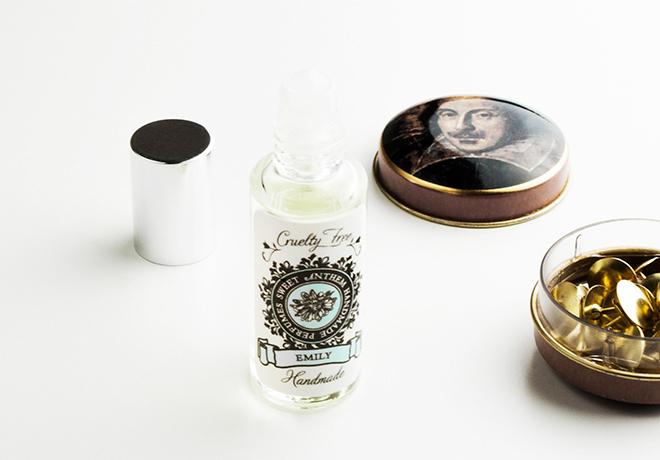 All Sweet Anthem fragrances have names and stories, and this one is called Emily. Apparently, Emily is a hottie, who constantly wears her red dress and paints her toes. It seems, she also likes coffee and sometimes thinks about those happy moments that happened in the past probably more than she does about her future (raise your hand who can relate! Yes, me too). The scent itself is pretty sweet, and you can instantly detect almond, which, after a few minutes, fades into honey scent. All solid perfumes that I’ve tried in the past somehow were in tins, lockets or other alike containers. The Shakespeare tin that you can see in the photo above actually is a container for solid perfumes (at least, it’s been used for this purpose). 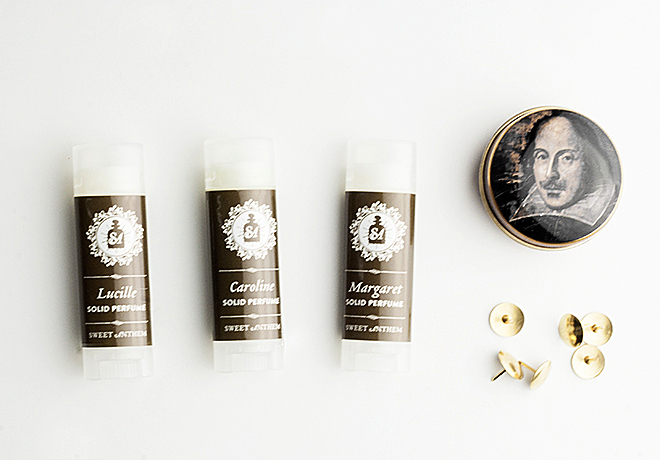 I’ve never owned solid perfume sticks before, and I’m amazed by how comfortable and convenient they are to use. 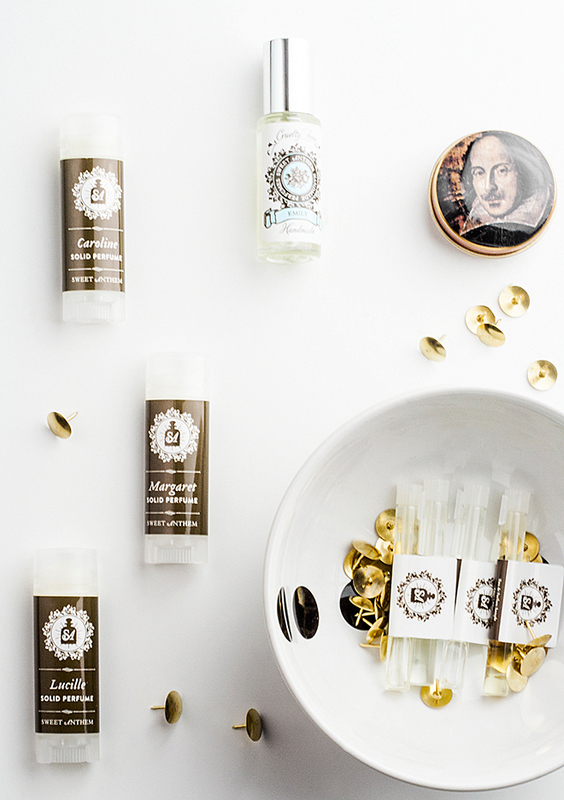 This perfume was inspired by an old Germanic ballad. I’ve tried really hard, but I can’t pinpoint only one note, all of them – jasmine, linden blossom, and rosewood – seem to be mixed together in a warm, earthy, soft scent. I like this scent so much that if there were body lotions with it, I would bathe in them, no kidding. OK, let’s stop here for a moment because Caroline has a surprise for you. 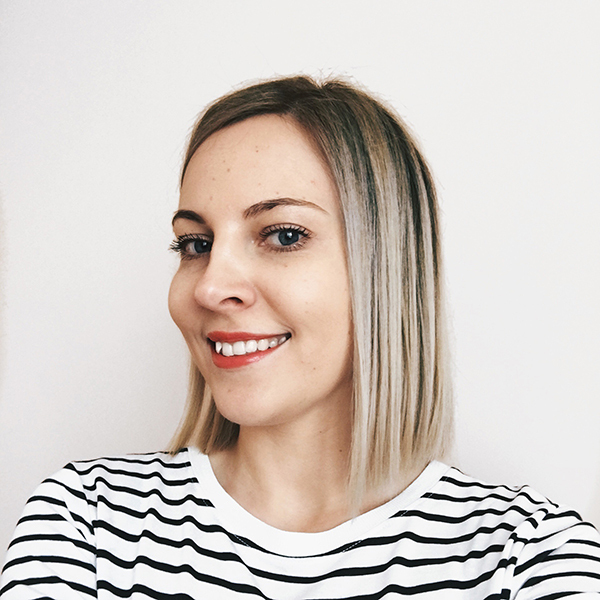 In her story, Caroline is French, she lives in the countryside, and what she likes the most is… CHAMPAGNE. Yep, you read it right. Here’s your very own perfume with bubbles. Not literally, though, but champagne is one of the headnotes in this perfume. Alongside with champagne, there also are citrusy notes of bergamot and lemon, that evaporate into jasmine, and after that to base notes of oakmoss and vanilla. It’s a sweet, fresh perfume, which probably stays the most intense for the longest period of time out of all the Sweet Anthem perfumes. If you’re romantic at heart and love roses, Margaret will become your best friend. It’s a very distinct fragrance, which starts with a striking headnote of guava fruit (fruity, but not too sweet), which then evaporates into a soft scent of rose mixed with a hint of vetiver (base note). I always say that I’m not a fan of roses, but this combination makes me sniff my wrists repeatedly throughout the day (this sounded less weird in my head). Highly recommend this one. In a very subjective, yet honest way, I want to say that me and Phoebe… not gonna happen. Phoebe likes winter and cold, and the sound of cracked leaves. Me – not so much. The first notes of maple sugar and snow (?) have a sweet feel to it, but after a while, it starts to smell like burnt sugar to me, although, it’s supposed to become lavender. It does become gentler and softer with time, but it’s just not for me. 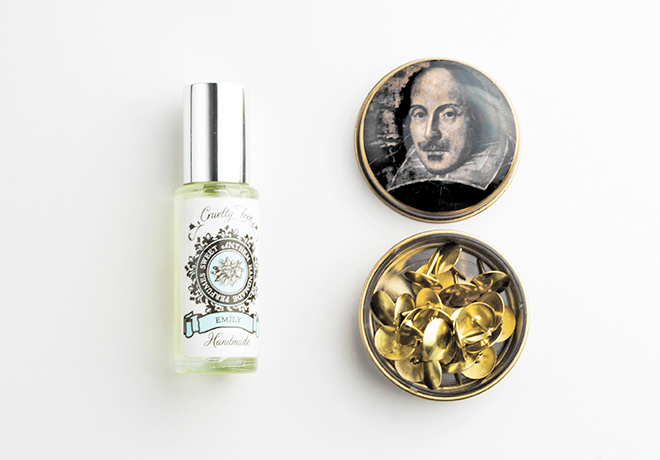 Juliet is a combination of spicy and fruity, a scent that’s really interesting and unique. Top notes are mango (the fruity part) and clove with pink pepper (the spicy part, I believe). It definitely does become sweeter, but kind of bitter and woody, which is entirely controversial and, therefore, amazing. Yes, you guessed it, the story mentions Alice from Alice’s Adventures in Wonderland. To be more specific, her journey through the rabbit hole. I can’t comment on the head note, but it does remind me of tuberose right away and evaporates to a less intense version of it after some time and develops a woody scent (sandalwood). I wish I wouldn’t say this, but Annabelle is friends with Phoebe. Which means she’s not friends with me. I find that both of these perfumes contain white amber, so it’s probably what doesn’t agree with my nose. However, as I mentioned before, and you know this well, the scent is subjective and pretty hard to describe, so if you enjoy scents like amber, moss, sandalwood, you might love Annabelle, just read the descriptions carefully and decide for yourself. I know from my own experience that it’s not very easy to describe or to understand scents based on their description, so unless you feel that some scent is YOUR scent, it’s always better to either order a small sample or find a stockist near you (the US only) and let your nose tell you, which one of these scents you want to take home (trust me, you will). 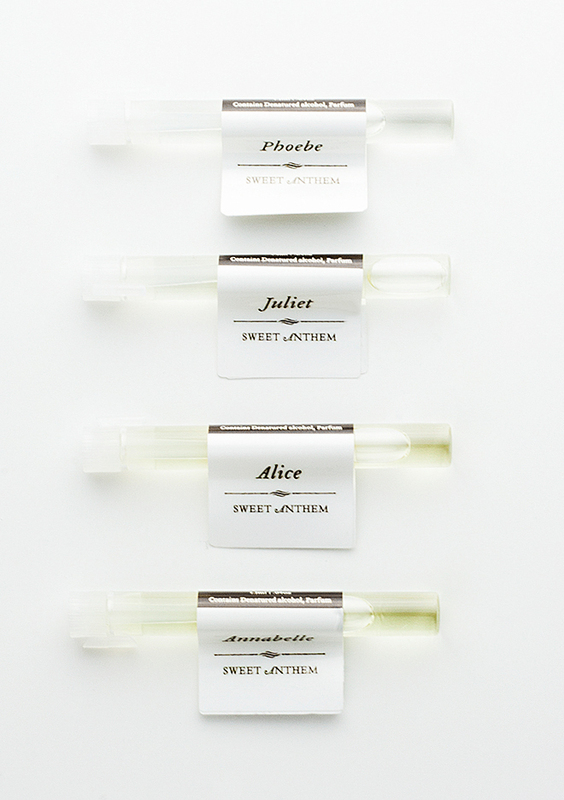 Sweet Anthem perfumes are available online (the US only): Sweet Anthem (official). Have you heard about Sweet Anthem? 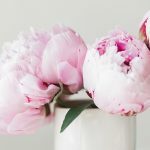 What are your favorite vegan perfumes? Looks like they are lovely scents. Its quite interesting and nice to see perfumes going down the natural route.